Item #GSE-537: Approximately 1 7/8" diameter Quartz Sphere with Rutile Needles and Inclusions: 146.26 grams. Item #MS-321: Our spheres are solid balls of pure, native Michigan Copper. They have been tumbled smooth and show distinctive Copper color over their entirety, but they lack high luster. Specimens average size is 1" in diameter. Item #GSE-395: 1" Rutilated Quartz Sphere. 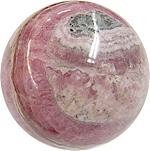 Item #GSE-106: Average 1.25" diameter, polished, Rhodochrosite Sphere with White and Gray striations. Item #GSE-140: Average 1.25" diameter, golden Chalcopyrite Sphere (Chile) with Black veining. Item #MS-322: Our spheres are solid balls of pure, native Michigan Copper. They have been tumbled smooth and show distinctive Copper color over their entirety, but they lack high luster. Specimens average is 1.25" in diameter. Item #GSE-393: Approximately 1 1/4" Quartz Sphere. Item #GSE-388: Approximately 1 1/4" Rutilated Quartz Sphere. 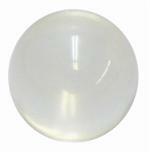 Item #GSE-389: Approximately 1 1/4 - 1 1/2" Quartz sphere. 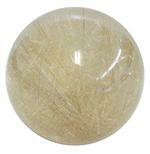 Item #GSE-394: 1 1/4 - 1 1/2" Rutilated Quartz Sphere. 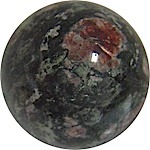 Item #GSE-535: Average 1.3"-1.5" diameter Rhodochrosite Sphere. Item #GSE-141: Average 1.5" diameter, golden Chalcopyrite Sphere (Chile) with Black veining. Item #MS-323: Our spheres are solid balls of pure, native Michigan Copper. They have been tumbled smooth and show distinctive Copper color over their entirety, but they lack high luster. Specimens average size is 1.5" in diameter. 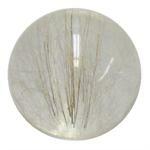 Item #GSE-174: 1 1/2" Rutilated Quartz Sphere. Item #GSE-381: 1 3/4 - 2" Rutilated Quartz Sphere. 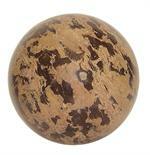 Item #GSE-326: 102mm diameter mottled shades of brown and black Nature's Paintbrush Jasper sphere. Item #GSE-267: 108mm Smoky Quartz Sphere; transparent with natural inclusions; 3.95 lbs. 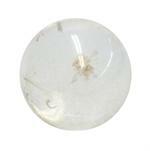 Item #GSE-253: 114mm Quartz Sphere; transparent with inclusions. Item #GSE-321: 114mm Septarian Stone Sphere; from Utah; Yellow with Gray and Dark Brown; Cavity; 4.50 lbs. Item #GSE-324: 114mm Spectrolite Sphere; from Madagascar; moss Green with Black mottling and Blue, Yellow or Orange sheen. 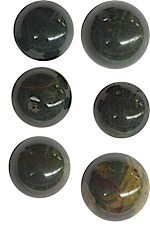 Item #GSE-334: 146mm Chrysotile in Serpentine Sphere; from Arizona; Green, Brown and Gray with Golden Chrysotile Fibers. 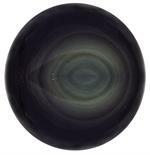 Item #GSE-297: 152mm Black Obsidian Sphere; opaque Black, Silver sheen visible when rotated. Item #GSE-266: 152mm Quartz Sphere; transparent with natural inclusions; 10.90 lbs. Item #GSE-290: 178mm Smoky Quartz Sphere; smoky, transparent to semi-transparent with minor natural inclusions. Item #GSE-403: 2 5/8" Rose Quartz Sphere of approximately 450 grams. 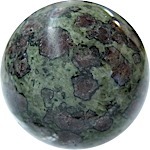 Item #GSE-417: 2 7/8" diameter Madagascar Jasper Sphere. Item #GSE-365: 2" Orange Calcite Sphere from Mexico with some translucent areas. 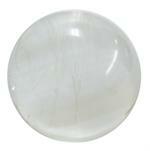 Most have a swirl of White Calcite. Item #GSE-373: Approximately 2" Owyhee Picture Jasper Sphere; Tan with Gray, dark Brown and some Greenish Blue. Item #GSE-435: 2 1/4" diameter Agate sphere of approximately 263.00 grams. Item #EC-228: 2 1/4"-2 1/2" Quartz Sphere of approximatley 277 grams. Item #GSE-379: 2.4" Rutilated Quartz Sphere. Item #GSE-438: 2 1/2" Agate sphere from Brazil of 418.00 grams. 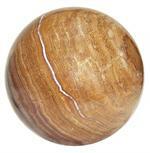 Item #GSE-433: 2.5" diameter Madagascar Jasper Sphere. Item #GSE-437: 2 1/2" diameter Madagascar Jasper Sphere. 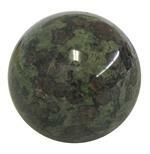 Item #EC-232: 2 1/2" diameter Picture Jasper Sphere. 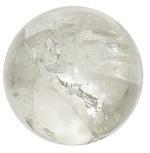 Item #GSE-377: Approximately 2 1/2 - 2 3/4" Rutilated Quartz Sphere. Item #EC-231: 2.6" diameter Calcite Sphere; Fluoresces Orange under ultraviolet short wave light. Item #GSE-401: 2.6" Rose Quartz Sphere of approximately 398.00 grams. 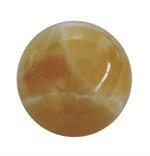 Item #GSE-436: 2 3/4" Madagascar Jasper Sphere. 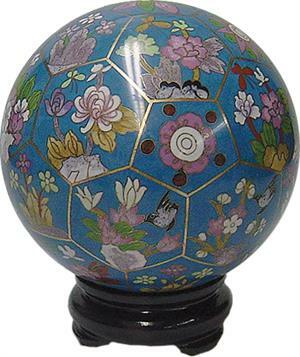 Item #GSE-280: 2.8" - 3.1" Rainbow Obsidian Sphere; Black with circles of iridescent Purple, Green, Yellow and sometimes Blue.